Recently remodeled penthouse apartment with terrace and bar. Located in a special area of Rio Vermelho with views overlooking lush green tropical vegetation. Close to bars and well known restaurants – excellent opportunity for residence or investment. With four floors, facing two streets, courtyard, and over 700m ² of built area, this property has incredible potential to become an inn. Located in the Historic Center of Salvador, five minutes from Pelourinho, with restaurants, bars, bakery, pharmacy, markets, gas station, bus stop and taxi stand all nearby. Featuring an eclectic architecture, the building is original from the late nineteenth century. The ground floor has four large rooms, dining room, kitchen, toilet, balcony, laundry, bathroom for employees, pleasant courtyard with plants, covered garage for three cars and workshop. The first floor has four large suites with spacious bathrooms and a living area. The basement has a large hall with a toilet. The mezzanine is designed to make two suites with an access corridor and an area of tiles on a large window providing natural daylight to the floor by the stairwell. The mezzanine and recreation area have a view of the church of Santo Antonio and there are sea views from the mezzanine . The courtyard remains fresh throughout the day and has wood-burning stove, wood-fired oven and a grill. The windows and doors of the building have all been restored. With high ceilings, the house has excellent ventilation and natural lighting, even in the summer the inside temperature is always very pleasant. The property can be adapted to be used as NGO or social entity headquarters. Located in Graça, one of Salvador’s neighborhoods with a great history and synonymous with tradition and quality of life, Edifício Graca Belvedere offers 3 bedroom apartments with 2 verandas, complete infrastructure and the privilege of being next to a large relaxing green area of tropical vegetation. 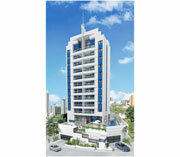 Close to the university, restaurants, shops and clinics. Victoria Concept, located on one of the last prime locations overlooking the Bay of All Saints in the sought after neighborhood of Vitória, promises to be one of the most coveted in Salvador. This unique development venture offers comfort and exclusivity in every way – life here will be according to a new concept of high standards and sustainable living, combining the glamour of Vitória with the 16 luxury units built with green construction concepts in mind. Each unit will be 177,47m2, spread across two stories, while the developers have a number of options for clients to choose from in deciding the final layout of their apartment - from choosing between 2 or 3 bedrooms with en suite bathrooms to including a Jacuzzi on the main front 34.88m2 balcony. By introducing green construction to Salvador, Victoria Concept hopes to show that luxury living and environmental soundness can go hand in hand. The building will have elevators and floors lit with bright environmentally friendly LED lights, powered by solar photo-voltaic collectors. The gardens and other common areas will make use of rainwater run off, which correspondingly will reduce overloading the public water collection system. Water from air-conditioning will be recycled and drawn into the grey water reuse system. Water for the building and apartments will be heated through a central solar heating system. Be part of the future of green construction. Be part of something different in Salvador and enjoy the rewards of spacious, luxurious living and spectacular views in Vitória. Gorgeous apartment in Rio Vermelho brought to you by ARC Engenharia and architect Cássio Santana. This unit of 64.39m2 is on the 8th floor with a large balcony that offers a breathtaking view of the famous Paciencia Beach where "Moon Over Parador" with Raul Julia and Sonia Braga was filmed. Most prestigious unit in the off plan development Palazzo Versilia available for resale! This prime duplex apartment features a large open terrace with private swimming pool and unparalleled panoramic sea views. The glory days of development in Barra have returned and this building is located in the heart of neighborhood, right in front of the Carnaval circuit and ideal for investment for vacation rentals or future resale. With a unique architectural style, Palazzo Versilia is proof that investment in Bahia, and the neighborhood of Barra in particular, continues to rise. Excellent opportunity as the building is 100% sold out. Discover the delights of urban living combined with lush tropical gardens in this unique apartment/townhouse. This unit was created as an annex to an existing building in the upscale neighborhood of Graça and forms a private ‘home’ with the security typical of more traditional urban condominium buildings. With complete privacy, garden views, covered garage space in front and 3 floors of living space this option is like no other in our listings. Call today to arrange a showing! Fantastic Duplex penthouse situated in Ondina with breathtaking panoramic views over Salvador and the sea. This apartment has been completely refurbished to luxurious standards. The upper floor consists of a completely independent apartment with summing pool, sauna, veranda, living room and gourmet kitchen. On the lower floor there are 3 en suite bathroom plus the master with dressing room and en suite bathroom , a spacious living dining room with access to the main terrace, and a fully equipped kitchen. The building facade has been completely retoured and the planes for amenities facilities such as an indoor swimming pool and an play is already approved by the condominium. The apartment comes with storage rooms and four parking spaces, which can be accessed directly through the lift. Ondina Porto Residence is a refined one bedroom apartment, perfect for who wants to live with style and sophistication in the most charming area of Salvador. The panoramic view for the Ondina’s sea is a spectacle in this undertaking that besides the excellent dwelling is also a great and unmissable investment. Near restaurants, gyms, stores and bars of Santana’s Wide. Near shopping centers, theatres and at about 800 m from the Oficial Carnaval Circuit, Ondina Residence combines the charm of Ondina’s neighborhood with the traditional bohemia of Rio Vermelho, neighborhood which hosts the famous Yemanja’s Party on February 2nd. Go to Bonfim’s Washing, to a walk in Porto da Barra, to run in the seacoast or to have dinner in Contorno Avenue. You are in the main center of entertainment of the city. Here you will find everything you need to take the life in your own way! Incredible 10th floor unit in Tulip inn Hotel amazing sea views. Right opposite the Congress Complex ideal option for investments. One of the best current options in Costa Azul for investment as the unit can easily be occupied most of the year. 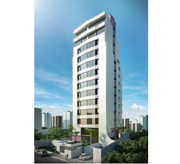 Excellent opportunity to get an apartment on one of the top business hotels of Salvador. Four bedroom house uniquely located in the luxurious neighborhood of Patamares. The house is harmoniously pleasant throughout with two living rooms complete with indoor gardens filling the space with color, life and grace. The master bed room is spacious with large bay windows facing the sea. The mezzanine offers a nice perspective of the entire house. The outdoor gardens are magnificent with an elegant summing pool and barbeque area. This property is ideal for anyone seeking a piece of Paradise in Salvador! Great working farm for sale in Cachoeira, only 2 hours from Salvador! The property currently has over 200 head of cattle but has capacity to hold over 400. The farm has coconut plantation of more than 6000 producing trees plus all water, electricity and telephone facilities. The land also contains an environmentally protected section of ‘mata Atlantica’ home to many species on the brink of extinction – all catalogued and part of the Ecological Corridor of the Serra São Francisco. With fantastic sea views, this property is well under market prices and without a doubt a unique opportunity for the right investor. The current owner manages R$15.000,00/month income without full time management nor a full time staff - with a proper business plan, this property can be a huge moneymaker! All documents are in perfect condition. Discover the pleasure and privilege of being Absolute. This new off plan project is perfect as a private residence, investment property, or buy to let for vacation rentals. Just a few blocks from the famous Porto da Barra beach, supermarkets, hospitals and main thoroughfares makes this development Absolute Well Being, Absolute Views, and Absolute Ease. Don’t wait – just a few units left! Discover Absolute Barra Avenida for yourself. Acqua Vert Lofts & Residence - New building, just 50 meters from the beach combining comfort with modern amenities! Unique locations with 3 layouts to choose from: 1 bedroom apartments, lofts and two floor apartments – all with spectacular sea views. Amenities include lap pool with deck, fitness center, tiled exterior, bicycle parking, Wi-Fi, Squash court, business center, gourmet entertainment area, restaurant, and pay-per-use services. Perfect as a primary residence or as investment property. Reserve your unit now and enjoy the best of Jardim Armação! Investment opportunity! Commercial space for restaurant with over 260m2 inside a new off-plan building with over 80 residential units – right in front of the beach in Jardim Armação. Excellent opportunity as the neighborhood is experiencing unparalleled growth with both residential and commercial developments – all this plus a beautiful seafront view over the Atlantic. With one of the Best views of Barra, Blue Morro Ipiranga offers the latest in luxury living in Salvador. With just eight standard 3 bedroom units each with 139.32 m2 and one expansive penthouse unit of 275.28m2, Blue offers a unique opportunity for living in Barra with sea views from the first floor on up. With everything Barra has to offer as your feet, Blue Morro Ipiranga is an exclusive off-plan launch – don’t miss this opportunity. Reserve now! Building for sale, ideal location on one of Barra’s busiest commercial streets – Marques de Leão. The area is surrounded by various night life institutions of Barra including 4 Amici Pizzaria, Caranguejo do Farol, La Lupeta, Off Clube Nightclub and many others. The upper floors offer sea views as well as ideal views of the Barra/Ondina Carnaval circuit. The building is 4 floors high with the possibility of creating a roof terrace. The ground floor features space for 2 stores each with private bathrooms. The next floor features office spaces while the upper two floors are currently designed for suites of living space. The building has previously operated as a hotel. Ideal location for creating your new business in Barra! Schedule a visit today! One bed room apartment just one block from Barra shopping center in a nice and pleasant new building with 24h security and complete infrastructure . One of the best current options in Barra for investment as the unit can easily be converted for holiday rentals. Excellent opportunity to get an apartment on one of the top condominiums completely residential complex. Great opportunity to buy a well established café in Rio Vermelho. This is a charming and sophisticated café-bistro that has created a fusion of local and European cultures. The location is perfect surrounded by chic hotels and other small boutique businesses. The property itself is not for sale - just the commercial point. The monthly rent is R$2.500,00. Wonderful one bedroom apartment in brand new building with all modern facilities, AC and Wi-Fi internet access. There’s nothing better than relaxing in a hammock on the large veranda overlooking the Atlantic. Building amenities include swimming pool, party area, gym and 24 hour doorman. Just two blocks from the beach and within walking distance to restaurants, shops and Carnaval festivities. The views from this apartment make it an ideal option for Carnaval or New Years. Don’t miss out on this ideal turnkey opportunity – price includes all furnishings! 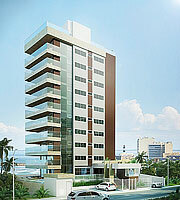 Prime location building just a few blocks from the Porto da Barra beach. Gardens, reception area and restaurant all at the entrance while the panoramic elevator brings you to the top floor swimming pool, sauna and gym, also daily maid service included. Fully equipped modern kitchen, a/c, LCD screen TV, all included on the sale. Charming one bedroom apartment with breathtaking sea views! The apartment has hardwood floors and views of the Farol da Barra and comes completely furnished, with built-in armoires in the bedroom and quality wood furniture throughout. Great apartment to live in or an excellent turnkey investment for renting. The apartment has 24hour security and elevators. Here is your chance to own a penthouse apartment with unbelievably breathtaking views, in the elegant and upscale neighborhood of Victoria. With an ample-sized gourmet kitchen leading out onto a spacious veranda, this abode is perfect for dining al fresco under the stars and enjoying the expansive and awe-inspiring views of the Atlantic! This magnificent apartment has 3 bedrooms, 2 with en suite bathrooms (in which one has a bath tub - a rarity here in Brazil)! In addition, 2 of the 3 bedrooms have verandas with sea views. Step out from your bedroom in the morning onto a veranda overlooking the blue seas! This deluxe apartment has a double sized living room, with arched doorways, majestic columns and moldings - the perfect size for entertaining or just relaxing. 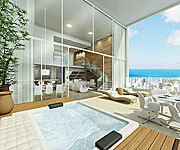 An amazing penthouse apartment with space (247m² - 2659 sq.ft. ), privacy and spectacular views in the toniest of neighborhoods! Don't miss this opportunity to own a slice of heaven!!! Imagine living amongst the ocean every day; you can in this heavenly apartment. Located on the top (11th) floor of a venerable building in Victoria, this penthouse has maximized panoramic views due to its floor to ceiling windows. The views of the Bay of All Saints are astonishing! This spacious abode has 3 bedrooms, 2 which have en suite bathrooms and one of which has a large customized shower. Use the large veranda for entertaining, or playing ping-pong - this flat has a lot of space in which to create whatever you want. This is a great opportunity to own a penthouse apartment in one of the toniest areas in Salvador! Top floor apartment in the up-and-coming neighborhood of Barris. This two plus bedroom apartment has an additional 'maids quarters' with en suite bathroom. Original hardwood floors in the living area and bedrooms, and city views from the veranda. A stones throw away from the shops of Avenida Sete and shopping centers and public transportation in Piedade.